I am not sure who is behind the camera on this one, maybe Jon? It shows a few of the young members of Silver Laughter goofing around. 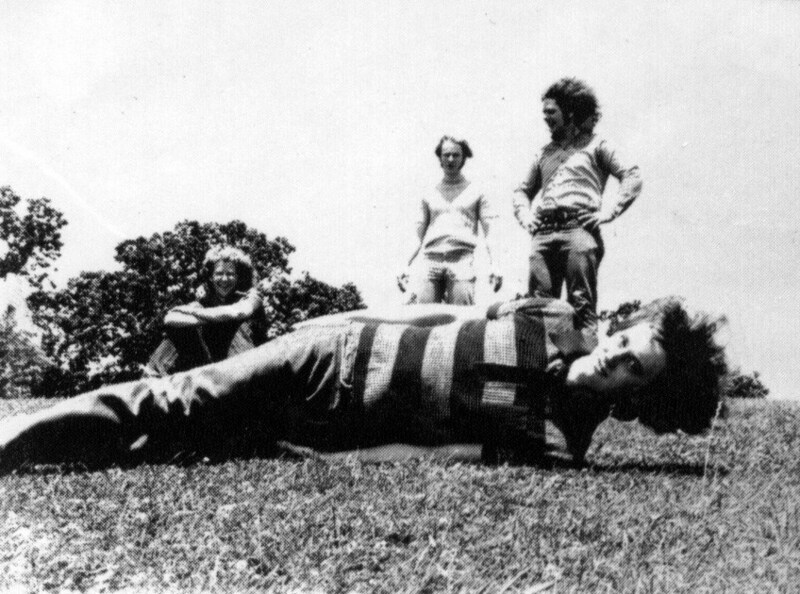 Here we see lead guitarist, John Carstensen, rolling down a hill while the others look on. From left, Denny Walton, Kim Ludtke and Steve Elliott. ‹ “What Are You, Christmas?” – A NEW Song By The Silvers! Download FREE Until December 31!